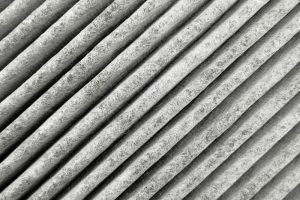 Why You Need an Air Filtration System for Your Home | Comfort First Heating and Cooling, Inc. The term “air purifier” is a blanket term used to cover a wide range of systems in your home. Each system operates a little differently, but here we choose to work with GPS systems. So, what’s GPS? When you hear that phrase, you’re probably thinking of the navigation system in your car, but when we’re speaking about it, we’re talking about Global Plasma Solutions systems. GPS is a brand that makes air purification systems. These systems use cold plasma air purification technology to boost the indoor air quality of their home. This type of system sends out ions that attach to airborne contaminants in your home and break them down, so they can be eliminated. These devices are fast for professionals to install and eliminates 99.6% of the contaminants in your home. We recommend GPS systems over high functioning air filters. They’re better for the efficiency of your home because they don’t block the airflow from entering your system. A GPS system will kill all these contaminants in your home. Without an air filtration system, you can face a lot of problems like mold, mildew, and even exacerbated respiratory issues. We really want to expand on this last point—installing an air purifier has long-term health benefits because it cleans the air you breathe every single day. Make sure to call our team if you’re interested in improving the indoor air quality of your home. We provide all the best air purifiers and filters along with the best installation, repair, maintenance, and replacement services. Although we recommend GPS systems to truly eliminate the toxins and contaminants from your home, we service all makes and models of air purifiers. If you’d like to install one of these systems in your home or need service for a different system then contact Comfort First Heating and Cooling, Inc. and schedule an appointment for service.